Valentino Garavani metallic leather wallet. For in-store inquiries, use sku #2489394. 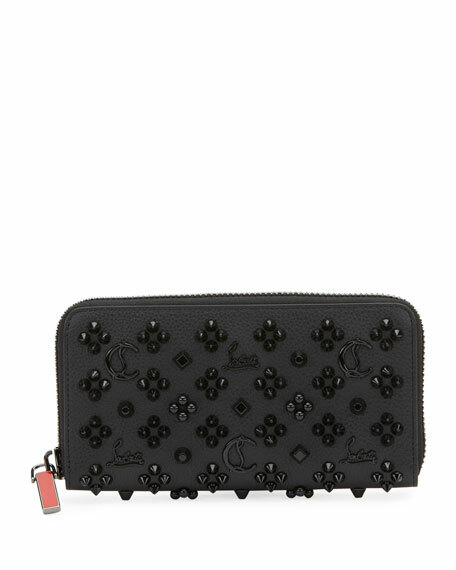 Christian Louboutin "Panettone" bead-embellished wallet in calf leather. Zip-around top with logo-embossed zip pull. Inside, signature red leather and cotton lining. Center zip compartment; multiple card slots. Leather/cotton lining. Made in Italy. 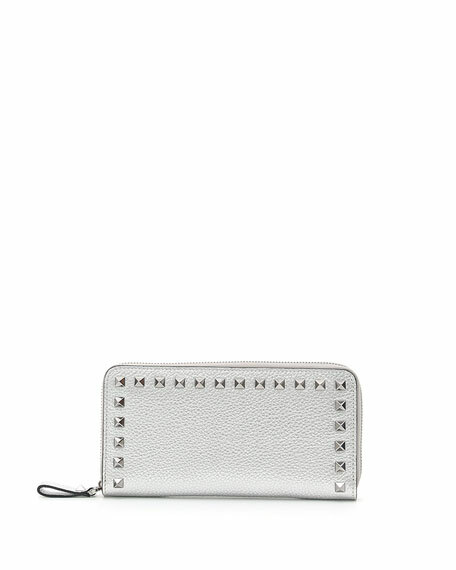 Christian Louboutin "Panettone" studded wallet in calf leather. Zip-around top with logo-embossed zip pull. Inside, signature red leather and cotton lining. Center zip compartment; multiple card slots. 3.7"H x 7.7"W x 1"D. Leather/cotton lining. Made in Italy. 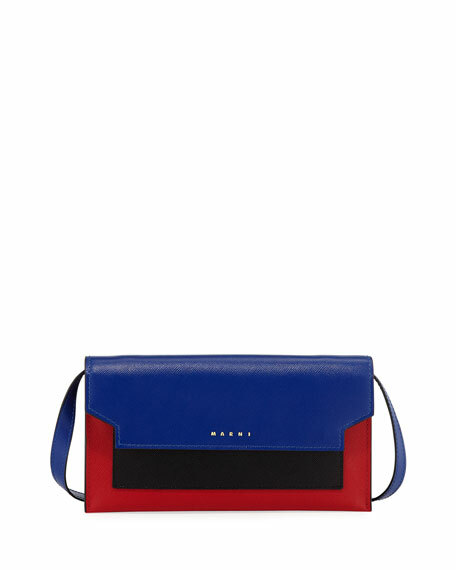 Marni crossbody wallet in colorblock saffiano leather. Flat shoulder strap. Flap top with snap closure. Exterior, zip and slip pockets under flap. Divided interior; grosgrain lining. Made in Italy.